The numbers through the gates were decent too, and peaked at 95,000 in the debut event in 2011. Even the crowd in its final visit in 2013 - which got a lot of criticism - apparently totalled at around the 50,000 to 60,000 mark; certainly not terrible numbers particularly when held in comparison with those of a few other rounds on the itinerary. Those that turned up too bowed to few in their fervour. And even now in the event's spell in an apparent coma there remains a pulse. There is no shortage of highly passionate Indian-based F1 fans to be found on social media while after David Coulthard did a showrun in a Red Bull F1 car in Hyderabad recently in front of massed crowds (apparently more numerous than in the latest Grand Prix in the country) he was astonished by the local level of enthusiasm. "The F1 fans of this country have always given me a warm welcome," he said. "It's my second time here and the enthusiasm in this country has increased since my last visit...The city and its enthusiasm is something I will remember long after I return home." Yet while the bottom-up nature of the Grand Prix was refreshing, the lack of government support proved debilitating. Sameer Gaur - managing director and CEO of Jaypee Sports International which organised the event, and whose appeals to the Indian central government fell on deaf ears - admitted at the time of the final F1 visit (for now at least) that they could not afford to continue the race without government assistance. F1's gargantuan hosting fees - of which governments are some of the few entities that can meet them - strike again. But the problem of this lack of state help did not extend merely to not having access to the seemingly bottomless pit of money a government can provide. The F1 in-crowd also had its nose put out of joint by the state not giving them the star treatment and rolling out the red carpet. 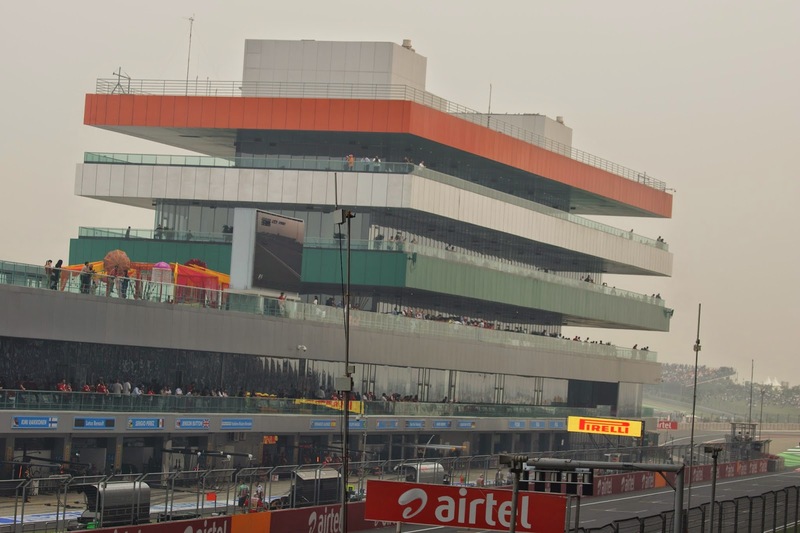 This was confirmed by the words of Joe Saward at the time of the 2013 round, referring to the lack of government support and the unfavourable tax status given to the event he said: "The impression is, once again, that India does not understand the value that such an event will give. Instead the F1 teams and organisers, not to mention the media, are made to jump through bureaucratic hoops to visit the country...it is unlikely that the country will get another race unless its bureaucrats understand how such things work. 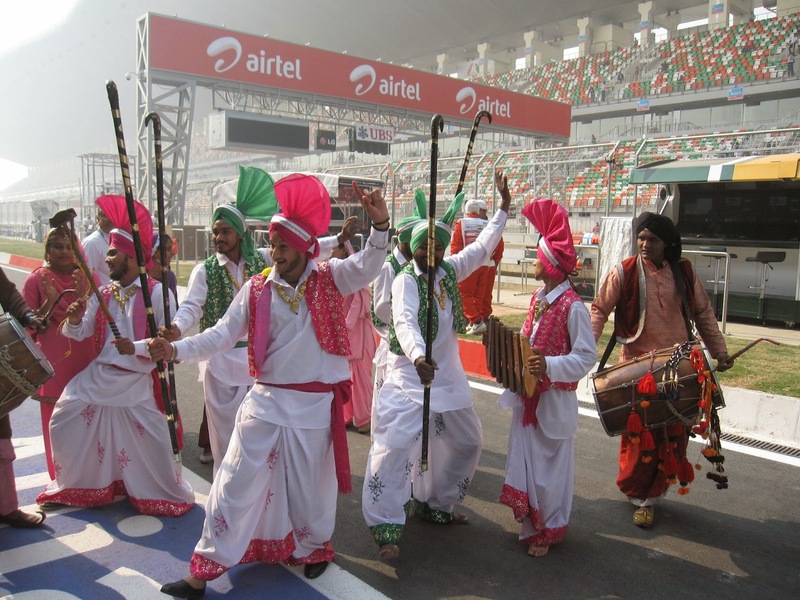 If they do not, or do not want to understand, then F1 in India is dead." "Paddock Club of Buddh International Circuit, Oct 2013"
Kate Walker added, more ruefully: "As shown by the strong Middle Eastern presence on the calendar and in the boardrooms, as a sport we prefer to be welcomed by governments with arms wide open, feted for all the glitz and glamour we are presumed to trail in our wake. "Being barely tolerated by the powers that be doesn't do F1's ego much good, but it also doesn't do the sport's image much good. Far better to play hard to get, and hope that they miss us as much as we want them to." This sort of thing from Bernie Ecclestone we can expect at least, but what I found strange was that the F1 paddock - gone native perhaps - seemed to go along with the same view. Like the worst kind of preening, self-absorbed poser, F1 took a collective huff when its suitor didn't fall at its feet and slavishly comply with its every whim. This too may have contributed to the members of the circus turning up to the Indian event apparently determined to find problems. Plenty of column inches were devoted by journos to their problems in getting visas and navigating the legendary Indian bureaucracy (as a general point, journalists' obsession with themselves in what they write about - as if the rest of us are meant to be interested - never ceases to amaze me), then there were problems with the levels of taxation claimed from the event - both related to it being classified officially in the country as 'entertainment' rather than 'sport' (insert your own joke). That the final Grand Prix was threatened with 11th hour cancellation by a court petition over alleged unpaid taxes was certainly embarrassing also. Yet over and above these some of the complaints were absurd. There were repeated references in media copy to India's poverty, which while I by no stretch wish to belittle it seemed a rather incongruous conversion from many that espoused it. Plus if we're going to strike rounds from the calendar on the basis of unpleasant local issues I make it six with one more now impending we could get through (including variously on the grounds of appalling human rights records and lack of democracy) before we got to India. There was the usual problem too that the sport centrally at least did the square root of nothing to promote itself in its new territory, leaving it to the local organisers as well as whichever teams might take the initiative. 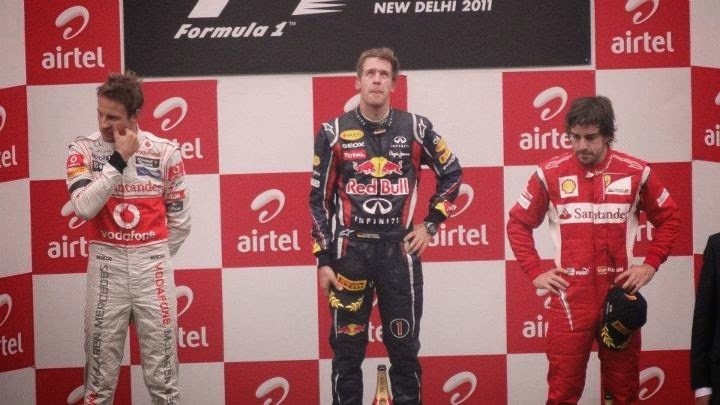 That none of the three races in India were thrillers, and that Sebastian Vettel ran away with each of them, didn't really help either. And as a consequence of it all the view of the fraternity upon abandoning India, rather than regret at a massive opportunity lost, was instead barely to make a backward glance. At best indifferent at worst one of good riddance. Indeed Saward at the time stated that the announcement that the race was to be dumped was made "amid much cheering in the paddock". Just as F1 absurdly turned its back on America repeatedly and for years, despite the considerable myriad benefits to the sport of having a presence there, the sport right now is making almost precisely the same mistake with India. Loss leaders it seems are scarcely seen in this game; the bottom line in the here and now predominates. As does crippling short-sightedness. That the prospect of F1 losing Monza for Baku rather than being something from satire seems a genuine possibility underlines this in thick black lines. And why is F1 in India coming to mind now? Well as I said at the outset it's easy to forget that the sport was there at all, but it crept back into consciousness in the last week, with the news that the Indian government for the first time in four years had recognised the national federation for motorsport, the afore-mentioned Federation of Motor Sport Clubs of India. If the event still has a pulse, this may have quickened it ever so slightly. In reality it'll make the tiniest difference though, as if this indicates an increase in government goodwill - in turn untangling some of the knotted logistics described above - crucially it doesn't represent an increase in government wedge. Vicky Chandhok described the move indeed as "merely the completion of a formality". And Vijay Mallya has made the not unreasonable point that for an activity such as F1 that strikes as being elitist and that certainly guzzles money voraciously to ask for state aid, particularly in a country with its fair share of social problems, is hard to justify. So we may be at an impasse. Short of F1 ripping up its warped financial model. Some hope. Or perhaps finding a wealthy individual to foot the bill as in Austria, which is more likely, though still identifying a squillionaire willing to never see a fair chunk of their money again isn't the work of a moment. As intimated most of those in India with such a willingness already throw their money at the IPL. Which leaves another option. That is F1 treating an important market such as India in the same way as it reserves right now only for Monaco and, incrementally it seems, Singapore, by treating it as a special case because of the wider benefits the event brings to the sport. The main shift involved in that is one of mindset. It seems a remote possibility, but we can but cross our fingers.